We are passionate enthusiasts, but we aren't pretentious. 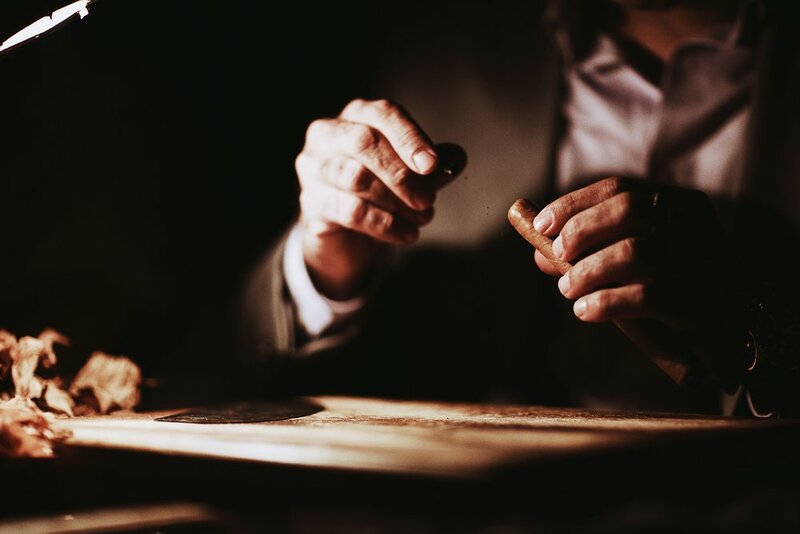 Our cigars are built one at a time and are intended to be smoked with friends and colleagues. Passion for our city, and a social stratosphere needing an update of old-school mentality. Our crops are grown in the best climates in the world, including Honduras, Nicaragua, Dominican Republic, and America. This allows our blenders to express creativity. We have experienced life long dedicated rollers in four countries rolling for KC Cigar Co to make the best premium cigars on the market, not just in Kansas City. Relax and enjoy the fruits of our labor. Our tobacconist and blenders are dedicated to making more then just cigars. You will know you have something special made to be shared with friends and family. Check out OUR STORY for more. We are building the best Cigar enthusiest club in Kansas City. Join us.